The Herrenweg is located at the opening of the Munster valley and enjoys one of the most precocious climate in Alsace. The light, quick warming gravely soil increases this characteristic. It is true that south facing vineyards enjoy more heat during the day, but the hillsides are often very close to the mountains, and therefore under their shadow an hour or more earlier than the Herrenweg. In summer, from my house, I can witness this every night. In the past, precocious vineyards were mostly planted with Gewurztraminer, as it is the grape variety that needs the most warmth to ripen properly, hence the high proportion of it in this vineyard. 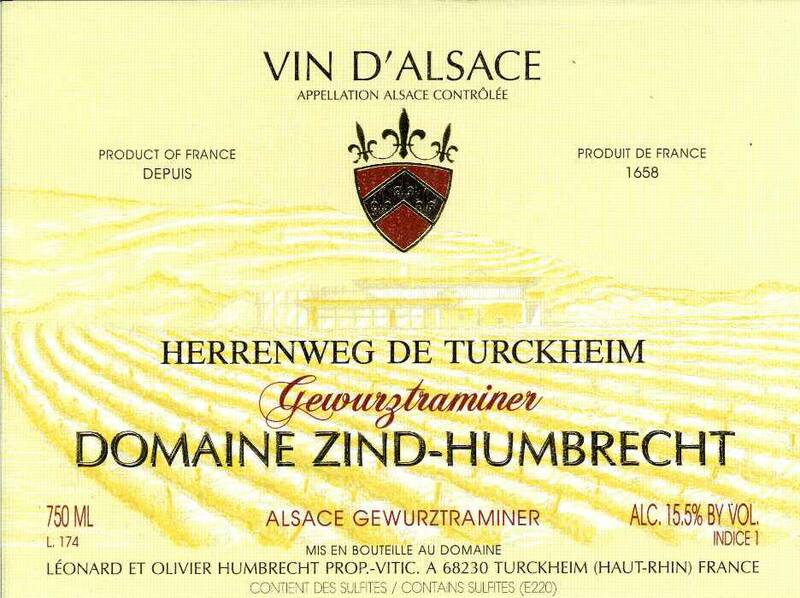 This Herrenweg wine, even if it is not labelled ‘old vines’ does come from very old vines, just not the oldest. It was harvested very ripe, with significant botrytis and also finished its fermentation quite dry. 1/2008: definitely spicier than usual Herrenweg, this wine is today perhaps more interesting on the palate. It has a big bold powerful mouth, very aromatic and long. The fact that it is very dry prevents the wine to taste cloying or heavy on the finish. The massive structure does hide the acidity for the moment, but it is still quite early to give a full assessment of this wine. Further cellaring should improve it.